Description: Paper Accents Cardstock is an archival quality heavy card stock that is great for cards, invitations, scrapbook pages, memory albums and more. Acid free, lignin free and buffered. 12 x 12 inch. 65 lb. Similar to light yellowish green. Slight orange peel texture. #10161 Stash Builder Textured Citronella. Cardstock 12 x 12 in. 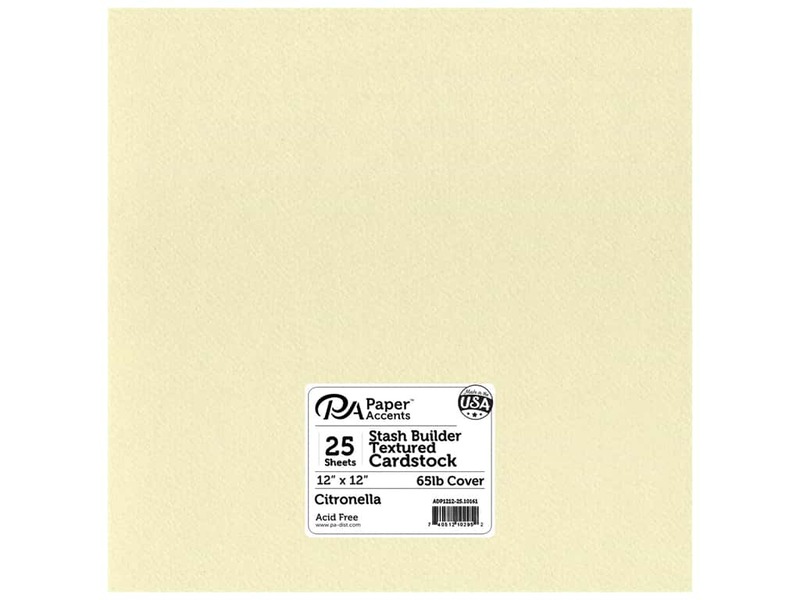 Stash Builder Textured Citronella (25 sheets) -- CreateForLess 5.00 out of 5 based on 2 ratings. 2 user reviews.